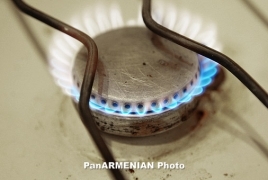 PanARMENIAN.Net - Russia and Armenia will intensify negotiations on gas tariffs, Kremlin spokesman Dmitry Peskov told reporters on Friday, December 28, TASS says. According to him, the matter was discussed at the meeting of Russian President Vladimir Putin and acting Armenian Prime Minister Nikol Pashinyan in Moscow on Thursday. "It was agreed to intensify the conversation on gas, because until yesterday, unfortunately, we could not state active negotiations between our Gazprom and Armenian colleagues," Peskov said. According to him, certain deadlines for the completion of negotiations have been set. "The time frame for the talks has been defined, because we are running out of time," the Kremlin spokesman said. No decision has been reached on the price of Russian gas for Armenia, Pashinyan said on after his visit to Moscow and the meeting with Putin.